It took the McAndrew family two weeks to admit that the strange things they’d been experiencing in their new home, a remote mansion in the woods of Quechee in Vermont—the noises, the peripheral visions, the maggots and the singed furniture—were supernatural manifestations. It took a month for them to pinpoint the spirit itself. Clarissa, the eldest, teenage daughter, uncovered the story with the help of Desmond Bannister, a local boy, the only one who believed she was somehow in communication with the dead spirit. They connected an old, out of focus photograph found in the attic with some old newspaper articles laying around in an abandoned shed. 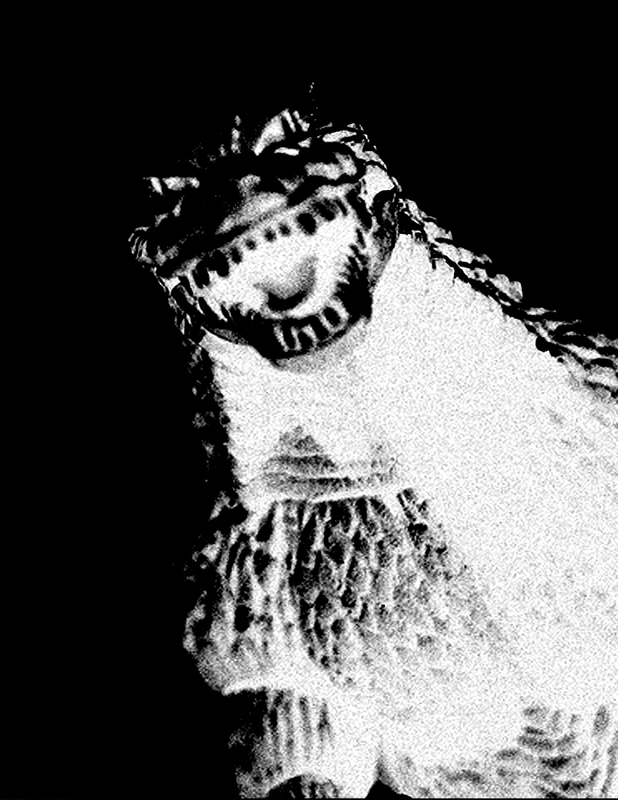 A quick search of library microfiche confirmed that the Godzilla story ended in Vermont. Meanwhile, little Colin’s spells were getting stronger and more dangerous. The maggots turned into swarms of flies, which brought the lizards, which brought the pelicans. Mirrors shattered. Signs appeared in flame on the walls. A tsunami raged in the trophy room. The lights dimmed. Finally they were able to decipher the secret message in Colin’s feverish crayon scrawling. Godzilla’s body had provided the roof, the ivory staircase, and several bookshelves. Only a traumatizing exorcism and several dynamite detonations were able to remove the ghost. That was what the demon Ghidorah had been waiting for all the time. It ravaged the unprotected remains of the house and threatened to kill the McAndrew family, Father Sheiner, Desmond and the orphaned twins, until the ghost of Godzilla returned to do battle with the three headed beast, for an endless and tiresome fight sequence as they all found an abandoned pickup truck, drove away, found new homes to live in, experienced other supernatural shocks and thrills, grew old and eventually died peacefully after living full and productive lives, and the credits rolled.